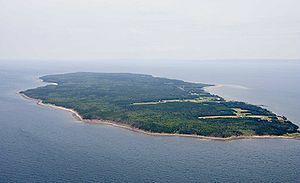 The barge Sault Au Cochon went aground on a sand bar in the Northumberland Strait near Pictou, Nova Scotia, Canada. The barge was being towed by the tug Florence M when the tow line parted in the high wind and waves. The barge had 6400 tons of pulpwood, machinery and 7000 tons of diesel oil onboard. Reports state the wood cargo was lost overboard and some diesel oil has been released. Coast Guard reports it may take weeks to free the barge and cleanup the shoreline. The 4450 dwt ro-ro Cometa went aground on a small spit of land called the Fugletangskjaer located off the coast of Norway between Asmaloy and Kirkeoy. The Cometa was travelling from Oslo, Norway to Fredrikstad with cargo when it struck. Reports state no water ingress and the vessel was waiting for tug assistance. The cause of the accident has not be determined, but the vessel did not have a pilot onboard.